Search Engine Optimization is the game of connecting small dots and creating a strong line of successful traffic. Having said that, the game of the SEO is composed of various aspects. On-page SEO, Off-page SEO, link building, backlinks, etc. A backlink is a link which redirects the traffic to our website from 3rd party resources. It is also known as an incoming hyperlink from one page to another website. Why should backlinks be taken seriously? Between the elements written in trailing paragraph, we believe and have experienced too, that link building or creating backlinks is a crucial part of a successful SEO campaign. DoFollow Backlinks- The links which add value in ranking in search engine results and get traffic too. They forward the link juice and SEO value to the designated website. Search engines calculate rankings from the quality of your dofollow backlink. NoFollow Backlinks- The links which don’t affect ranking in search engine results but gets traffic.Nofollow backlinks don’t add any value or help you in rank in search results and it also does not pass on the link juice to the linked website. However, if the nofollow backlinks done properly, they can redirect lots of new visitors. Forum submission is the most popular way of getting link juice and improve rankings in the search engine result pages. Owners and Webmasters submit their website’s or blog’s URL to the forums and actively participate in the discussion. For driving maximum benefits from forum submission, you need to have a clear idea of how the practice works. To get the maximum advantage of forum submission, keep in mind that you need to have the attitude of a contributor. If you just submit your article in the forum without writing/contribute, anything can be dangerous for your website. You must decide which kind of website you have, what is its niche. Based on that data, you need to research which problems do your audience face and how can you give solution for the same. With that phenomena, you get to know how your writing should be done. The content you post in the forum should be specific and direct. Verbosity can have an adverse effect, and your blog or sometimes the entire profile can be banned from the forum. Always try to solve readers’ problem through your content. If your contribution is valuable to the forum, your impression will automatically increase. You can also establish yourself as an authority in your niche as the group members will follow your recommendations. Sharing is caring they say; I believe that it is well said. Because when you contribute to your industry, people start noticing your potential. Content sharing website is also very advantageous for getting backlinks for your website. It could give better results than social media websites if used properly. Guest posting is one of the ways of creating a strong dofollow backlink to your website. All you need to do is finding the best blogs and website in your niche and submit an article for publishing. In return, you will get a hyperlink to your website in your published article. Please take care of putting hyperlinks in your content. The link should redirect to the authentic and valuable resource according to the title and URL. Readers don’t like spammy and unworthy links. Though guest blogging is the trending trick of getting backlinks, keep in mind that few high authoritative websites do consider the quality of your content before accepting guest posting. It is evident that no one would like to publish boring content and lose their viewers. Hence, they can post only good articles so that someone would come to the website, read and probably share. This means your content must be properly structured, grammatically correct and ideally engage the audience. Hence, the more sophisticated and robust your post is, the higher chances it has to be shared on social media and approved by 3rd party websites for backlinks. Another point you have to be careful of is where to post that content. Nowadays, people are running behind the desire of getting one or two backlinks, but they are unintentionally hurting themselves in the long term because the website on which they have the backlink, are sometimes not authoritative. Always try to get links from the renowned and trustworthy websites. Infographic is the way to convey and represent your idea visually/graphically. The important question is how infographics can help you get the backlinks and eventually generate more traffic. Well, to answer the question, there are many websites where you can create a profile and submit infographics based on your niche and market. When the users come across your infographic, they get to know about your business and may become your customers. The most important thing here is, you make an infographic smartly. It should not be only attractive but engaging and convey message perfectly while not making the overall image complex. To sum up, we are entering in the New Year in the following week. So these tricks will help you monetize and strengthen your online presence. Sharing is caring. Make optimum use of content sharing website and share your content as per your niche and business. Approach better websites than yours. 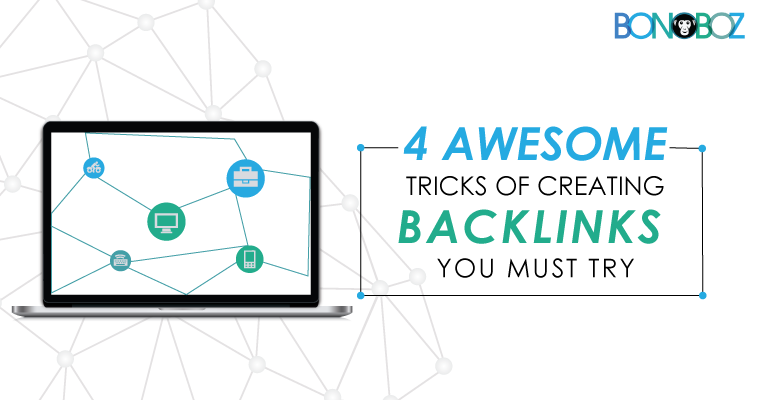 Write for them and have a redirected backlink to your website. Just type “Write for us (your keyword)” in Google and you are on the go! Humans tend to remember more visual content instead of textual content. Make infographics and share them smartly.